Chief of Police Randy Gibson died after going into respiratory distress while performing a high-stress arrest. Chief Gibson was a U.S. Air Force veteran. 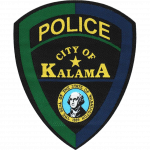 He served with the Kalama Police Department for six years and had previously served twenty years with the Greene County Sheriff’s Office in Missouri. He is survived by his wife.